Home > Celebs > Would you buy a Kim Kardashian Barbie Doll? Mattel has been getting quite innovative with their latest Barbie Dolls, but the almost Barbie of the woman who has it all. Kim Kardashian, who isn’t just an entrepreneur, reality TV star, owner of her own makeup and so much more, and, she almost was a KKW Barbie doll. Kim Kardashian is famous for wearing provocative ensembles, often with her shapewear as the main focal point. But her very own Barbie doll was going to have a much more toned down look. Kim tweeted about her could’ve been Barbie Doll and what it would look like. The doll was being styled from an outfit Kim wore to a Victoria Secret’s event in L.A., California, in March 2011. That night, she looked fashionably elegant, as always, wearing a sleeveless little black dress with tan pumps, a little bling from some diamond bracelets and rings, and finished off the look with a little pink Chanel purse. Perfect picture or shall we say Barbie Doll perfect? Kim was quite excited about the opportunity of having her very old Barbie doll styled after her. But, the Barbie manufacturer, Mattel cancelled the deal before any actual Barbie Dolls were made. Well, that is until her loving husband, Kayne, got involved. When Kayne saw how disappointed Kim was that Mattel scrapped the KKW Barbie, he took matters into his own hands. He called up Mattel and requested that they make him a prototype KKW doll, as a surprise for Kim. I’m sure that cost a pretty penny. Kim shared her happiness of receiving her very own doppelgänger Barbie doll by tweeting about it online, but she hasn’t yet to share a picture of her doll. Kayne might have made her dreams come true with that prototype, but when will she make our dreams come true by sharing a picture with us. Fans went crazy upon hearing that Mattel made at least one KKW Barbie Doll. Most agreeing that it would make a terrific collector’s item and that they would totally buy it, if it ever were manufactured. But Kim Kardashian West isn’t the only celebrity to have a personalized Barbie Doll, some of which are only sold as collector’s items, others as motivational toys for little girls. Check barbie.mattel.com to see the complete collection. 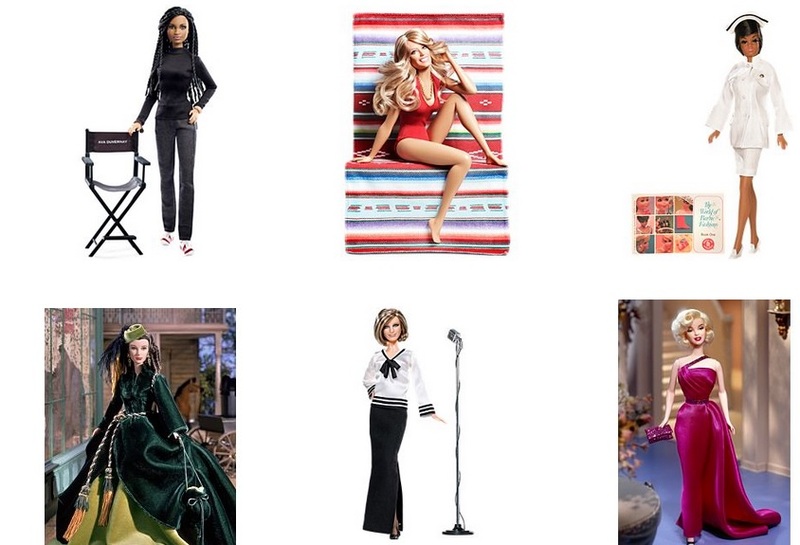 For example, Jennifer Lopez, Zendaya, Heidi Klum, Ree Drummond and of course, how could we forget, Prince William and Kate Middleton all have there very own Mattel Barbie dolls. Dee Drummond Barbie has her signature red hair and comes with a set of bake wear. Zendaya Barbie was designed to help little kids to raise their voices and embrace their unique diversity. One of the first celebrities to have their own Barbie modelled after them was singer Marie Osmond. Actually, Barbie and Marie Osmond were born the same year, but Marie claims that Barbie is aging better than her and its not fair. Some celebrities have actually stated having a Barbie made in your likeness is a higher honor that having their name cemented in the Hollywood Walk of Fame. Can you imagine being immortalized in an adorable little Barbie doll? Recently, Mattel created the first plus-size Barbie doll in the likeness of the plus-size model, Ashley Graham. You can even buy shapewear undergarments for her for her sans-thigh gap. But this just leaves us wondering what KKW Barbie would have for clothing options?